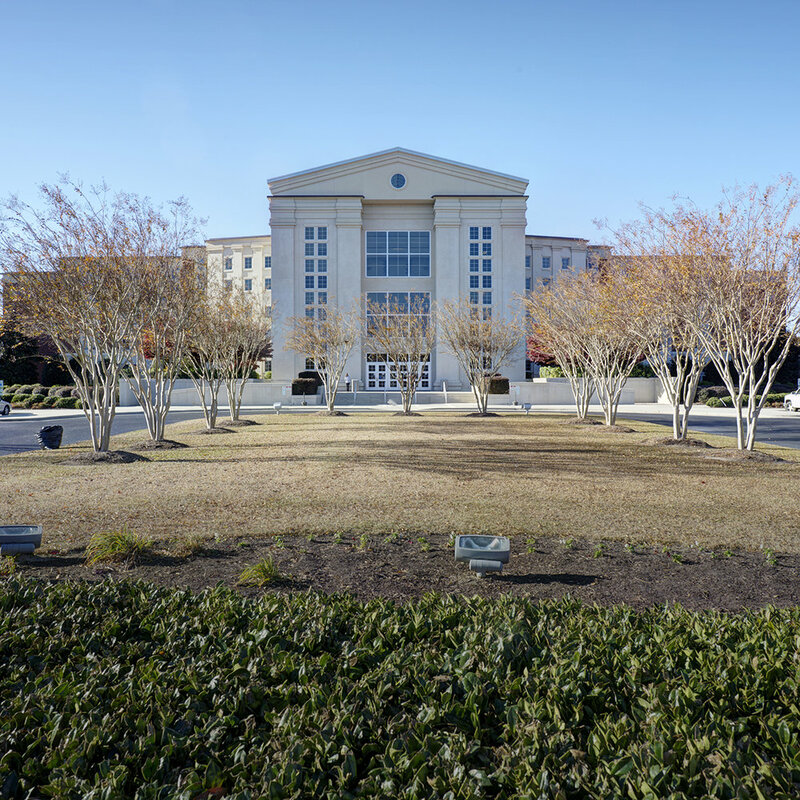 We recently returned to Harnett County to photograph the courthouse and are happy to see that it is holding up well after 15 years of service. 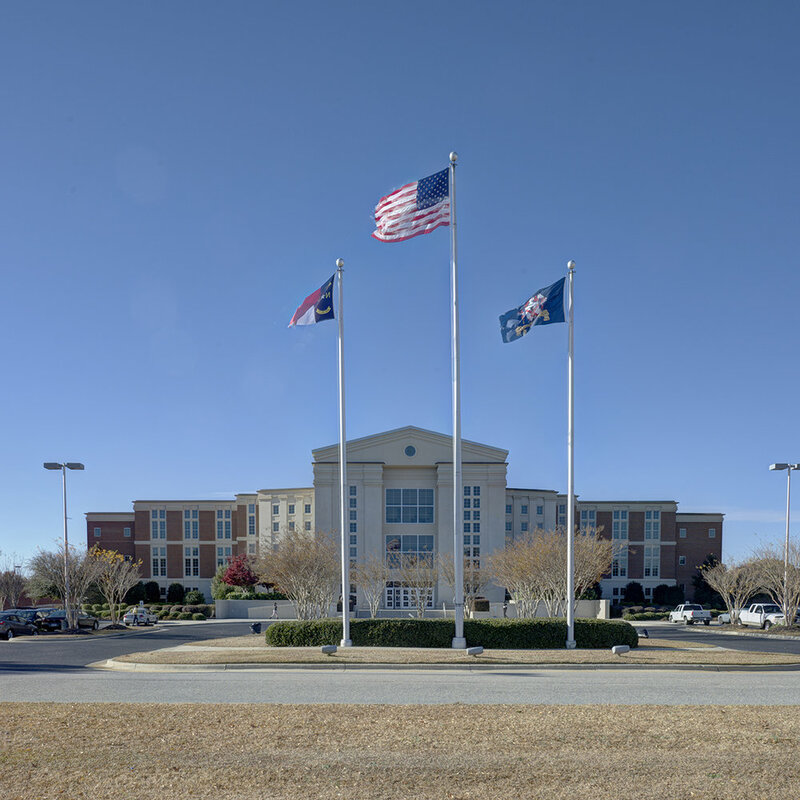 Few North Carolina counties have had the opportunity to construct a new courthouse on a new site. The challenge of this project was to provide space for the clerk of court, district attorney, tax office, register of deeds, and courtrooms in a single building that would make an appropriate aesthetic statement, be affordable and be secure. The result was a new 130,561 SF building that meets all of these parameters. The layout of the courtrooms in this building carefully separate the jury, judges, attorneys, detainees, and public in a way that is unseen to the users. The design committee included representatives of all departments that would occupy the building. As designers, we guided those representatives to work cooperatively in helping us understand their needs. We offered many alternative solutions to the group and patiently built a consensus with all parties. 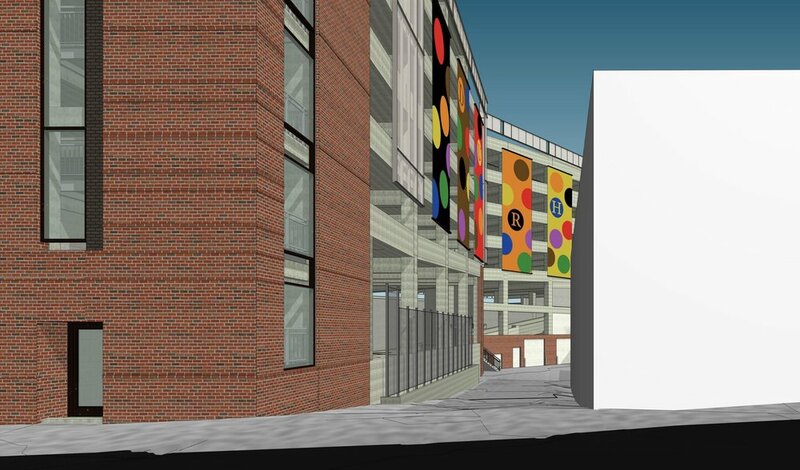 The final product has been embraced by the citizens of Harnett County and enjoyed by those who use the building.